Reflo is a small but energetic nonprofit serving the Milwaukee area. Meet some of the dynamic team below. Justin Hegarty, P.E., LEED A.P., is an environmental engineer and executive director of the nonprofit Reflo - Sustainable Water Solutions. Justin has a Bachelor of Sciences degree in Civil Engineering from UW-Milwaukee and environmental engineering masters work at Milwaukee School of Engineering. Along with co-founding Reflo in 2013, he has worked as an environmental consultant for 10 years working on green infrastructure, alternative energy, and brownfield remediation projects. Wilniesha Smith is Reflo’s administrative coordinator. She brings years of experience working with the Milwaukee Metropolitan Sewerage District’s residential green infrastructure program. Niesha holds an applied science degree in Environmental Health and Water Quality Technology from the Milwaukee Area Technical College. She coordinates the high school internship initiative and supports all of Reflo’s programs. Jose Basaldua holds a master’s degree from the UW-Milwaukee School of Freshwater Sciences. He currently supports a number of Reflo programs and initiatives including the high school internship initiative. Michael Timm is a writer, editor, and game designer who worked seven years as a hyperlocal journalist and holds a master’s degree from the UW-Milwaukee School of Freshwater Sciences. Passionate about connecting and engaging general audiences with stories hidden in plain sight, he manages Reflo’s Milwaukee Water Stories program where he piloted a place-based app, co-created a digital role-playing game inspired by Milwaukee’s water history, and curates the Milwaukee Community Map. Leah Holloway's love of all things water began when she was very young, and has been a source of inspiration and grounding her entire life. Her desire to help others build strong connections with their natural world led her into a 14-year career as an environmental educator. Now as a graduate student at the School of Freshwater Sciences, Leah is studying how to use science to create better water policy. Reflo's work is inspiring to Leah because it combines science and storytelling to engage and excite communities around their water resources, and creates multifaceted solutions to urban runoff that are beneficial to both people and the environment. Leah dreams of a future in which everyone has a water story to share, and through her work with Reflo, is building connections and resources to help make that dream a reality. Michael Snowden is a photographer and videographer who has partnered with many organizations over the last five years, helping to document and share the stories around the city of Milwaukee. Michael currently supports Reflo in documenting its school projects. 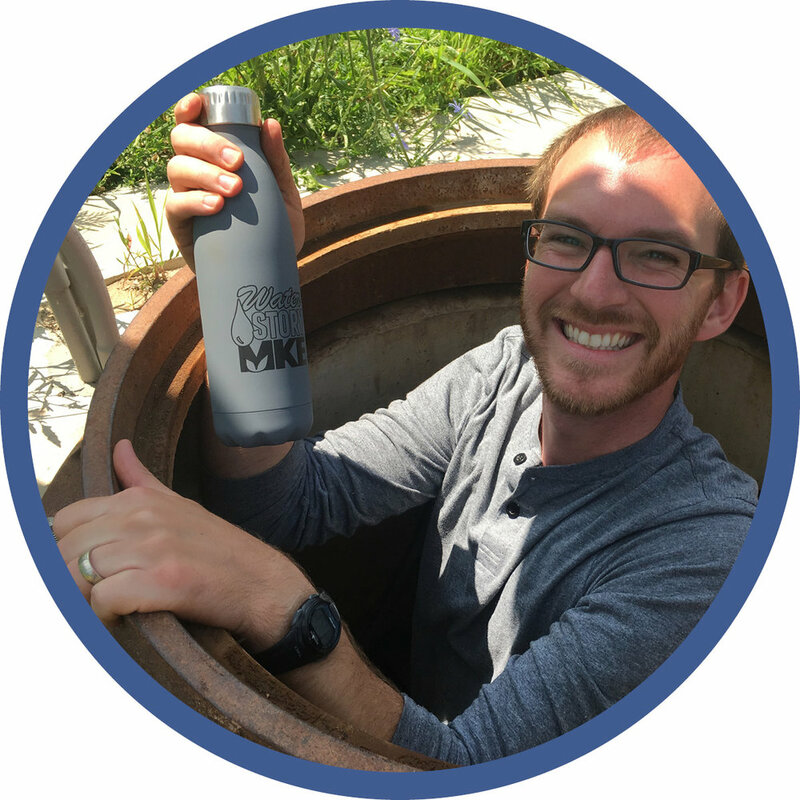 A 2018 graduate of the University of Wisconsin-Madison with a degree in Cartography & Geographic Information Systems and Environmental Geography, Jacob is passionate about the future of Milwaukee’s communities, especially promoting healthier and greener lifestyles for Milwaukeeans of all backgrounds. Jacob will jump at any opportunity to spend time outside, whether kayaking the Milwaukee and Menomonee Rivers in the summer or snowshoeing in Kettle Moraine in the winter. He believes that maps have the power to tell a story and bolster the understanding of place with new perspectives. Jacob’s training in map creation has prepared him to support Reflo’s mission to teach the important role that water plays in our daily lives. Lisa Neeb is a Milwaukee native who has dedicated her career to inspire others to care for the natural world. For the past 13 years, she has shared her passion for animals and the environment working as a science educator in museums, zoos, and traditional classrooms in Wisconsin and Michigan. She uses hands-on learning and inquiry to encourage students to be curious, creative, and critical thinkers while they take risks and learn by experiencing the world around them. Lisa recently completed her graduate work with Miami University focused on encouraging positive environmental behaviors in our communities. She is excited to join Reflo and work with the Green and Healthy Schools initiative to help connect local schools with nature and encourage children to get outside to play, explore, and take action to help make our world a better place.